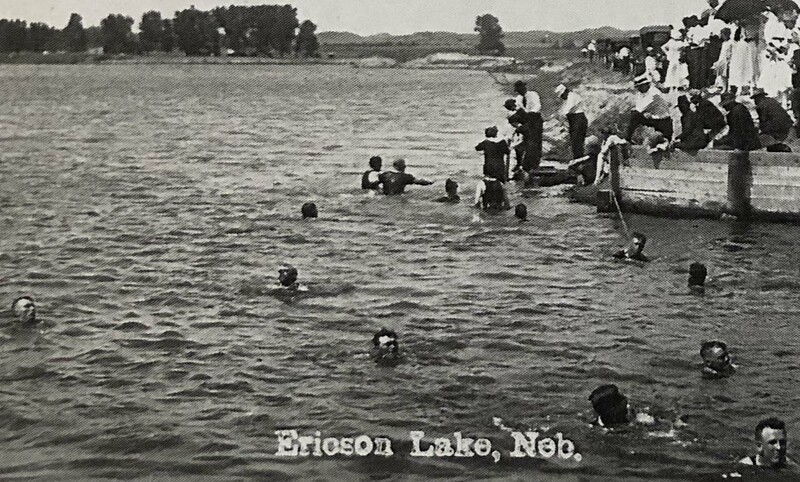 Since the year 1916, when the lake was created, it has fulfilled various needs of the total Nebraska community. 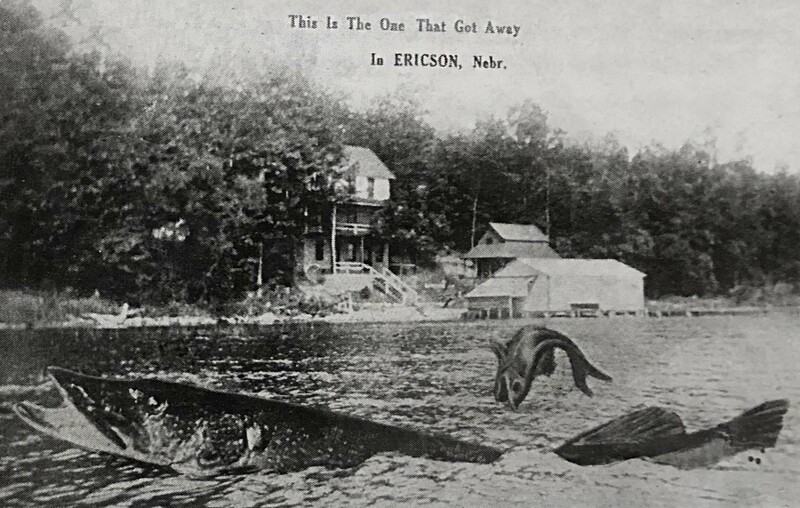 Lake Ericson was created primarily to generate electricity. The purpose of generation of hydroelectric power was discontinued in the 1970s. 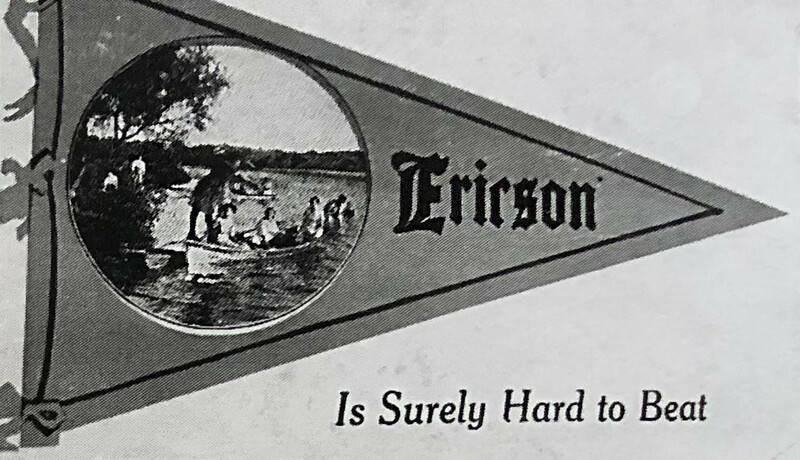 However, other benefits from Lake Ericson accrued but were not recognized beyond the excellent fishing and waterfowl hunting. 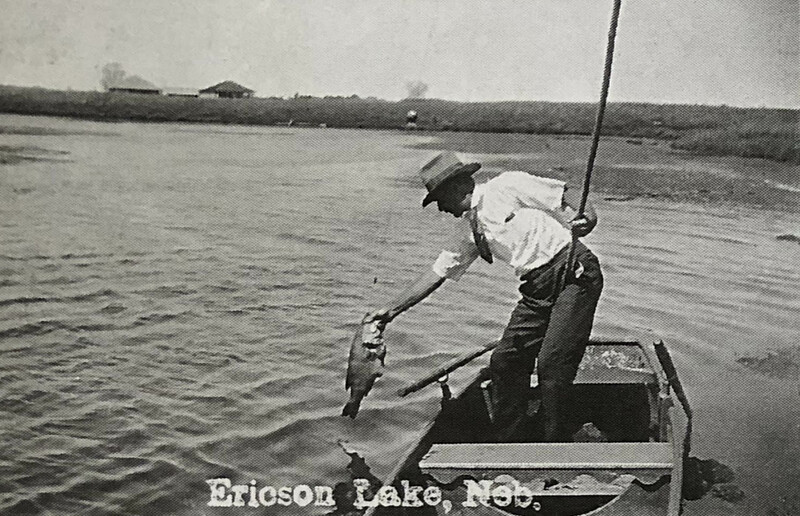 The recently completed renovation of Lake Ericson has been called a "great project" by Roger Patterson, Director of the Nebraska Department of Natural Resources. 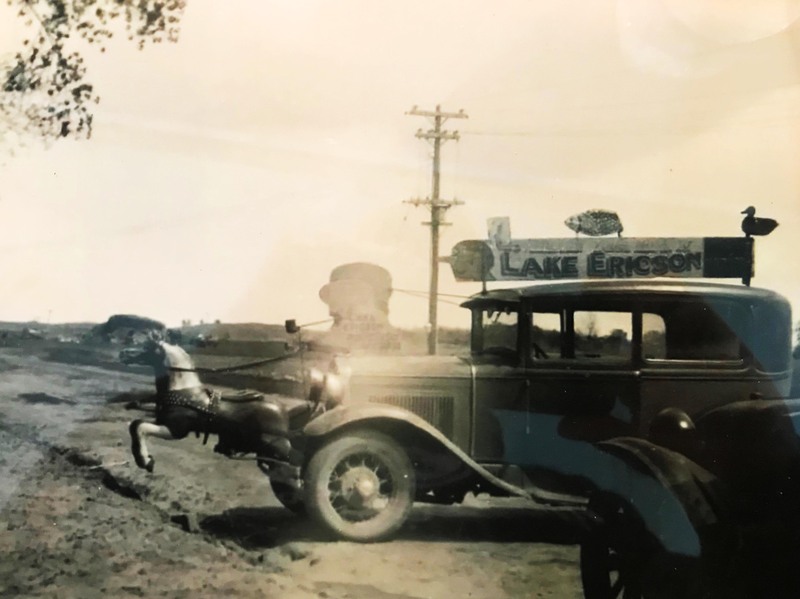 The $2 million dollar renovation included the removal of approximately 260,000 cubic yards of sand and sediment from Lake Ericson. 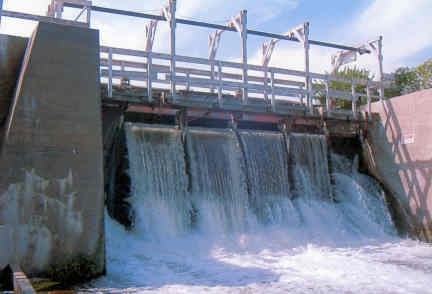 Work on the dam and the lake improved its flood control capabilities and water control. 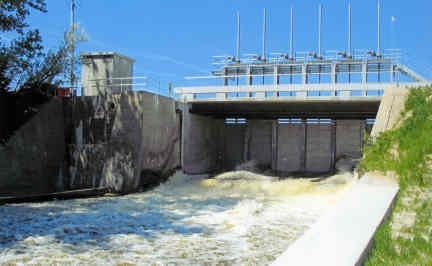 The dam's new gates provide safe and effective means to control the lake's water level and an emergency spillway was created to handle excess water in times of flooding. 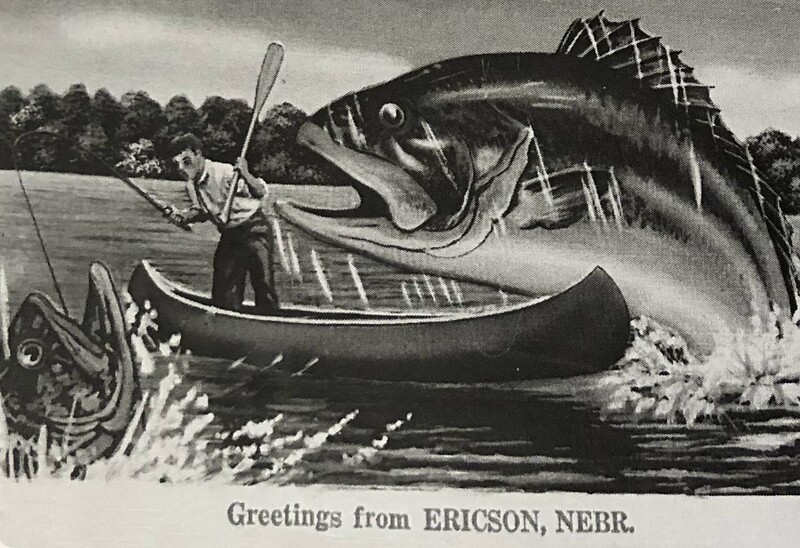 New recreational features were added as part of the renovation. A new concrete portage trail will allow canoes to bypass the dam structure. A camping area provides camper pads with electrical hook-ups, grills, and fire rings. 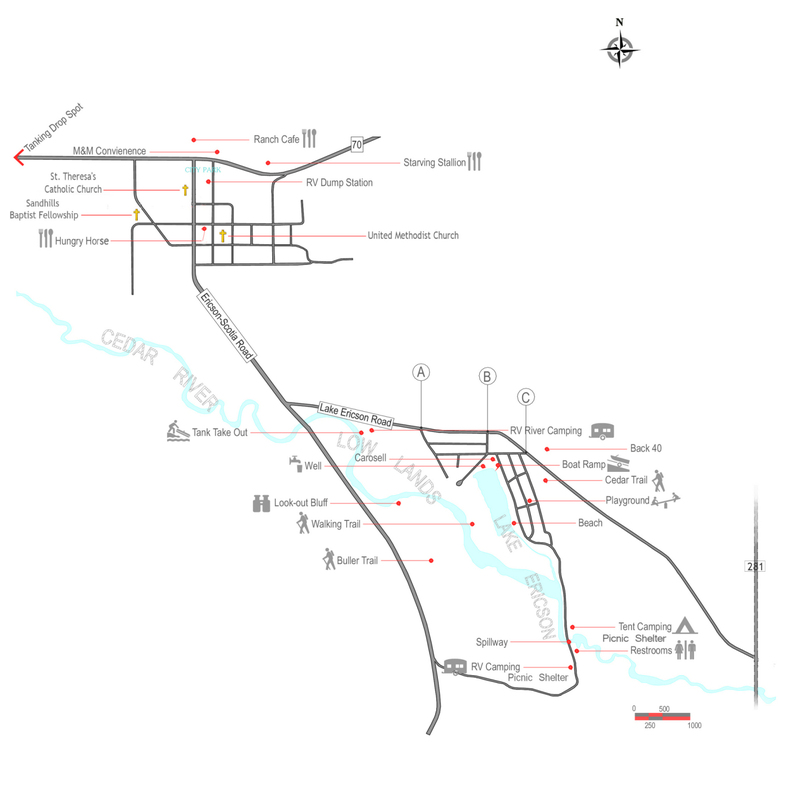 Click here to find out more about the camping facilities. 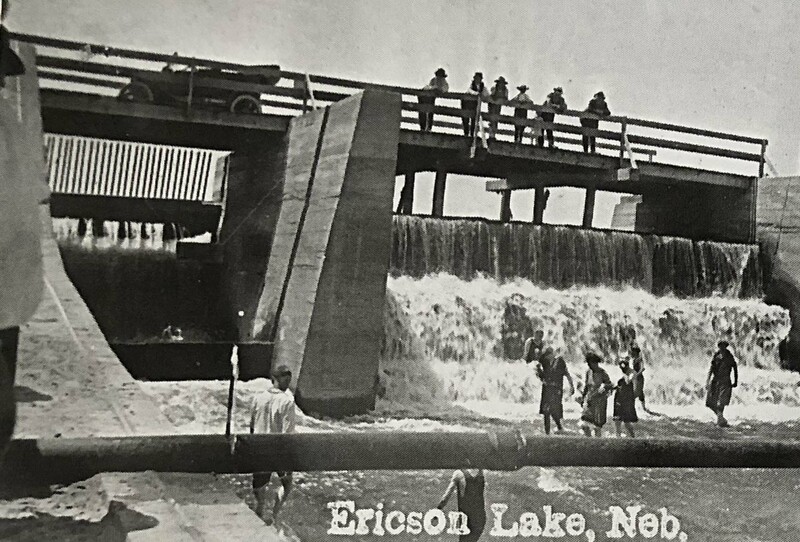 The photo on the left (or top if you're viewing on a mobile device) was taken of the dam prior to the completion of the renovation. The newly renovated dam is pictured on the right (or bottom if you're viewing on a mobile device). The gates are computerized and only allow enough flow to keep the water level of the lake within 1/2 inch at all times. 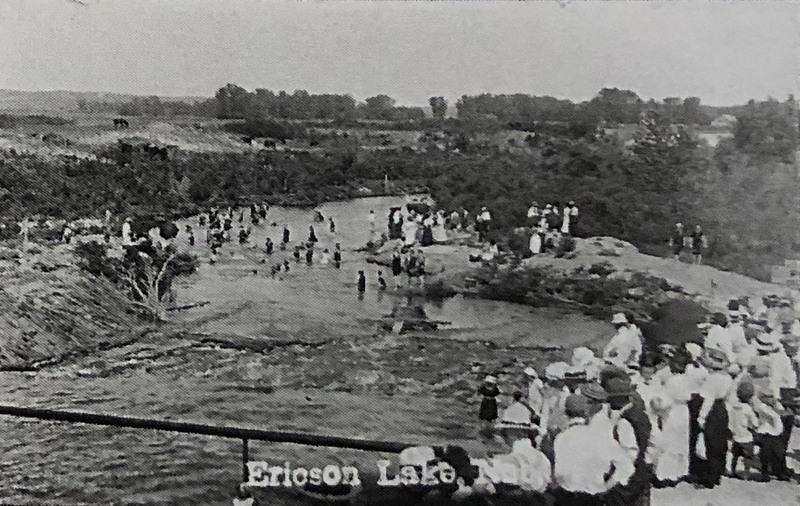 Lake Ericson has improved dramatically in the past years. We welcome you to come join us and enjoy the wonderful surroundings.